PET and PVC: You may see these referred to as craft glitter (PVC) and polyester glitter (PET). PET (polyethylene terephthalate) glitter is heat-resistant and generally solvent-resistant. PVC (polyvinyl chloride) glitter is cheaper, but it is not solvent-resistant and is generally darker in color, so it isn’t ideal for cosmetic use. 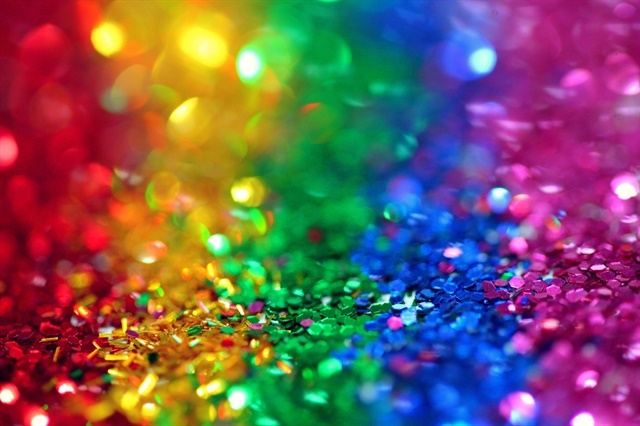 Solvent-resistant: Glitter has a coating over it to give it color, but depending on the glitter, this coating might come off when exposed to chemicals. It’s always best to check your glitter before you use it as acetone and monomer are notorious for making the color bleed. The solvents in some nail products can cause certain types of glitters to bleed. 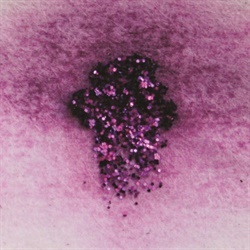 Environmentally safe: Environmentally safe glitter is made from plant-based materials instead of plastics. This means that it breaks down in about six months in compost or water. You don’t get as many varieties of shapes and color, but it is sustainable. Mica: Mica is one of the oldest types of glitter used. It is very common in cosmetics as it is very safe on the skin. It is made up of a naturally occurring sparkling mineral, although some companies are now using synthetic mica as mica mining has been associated with child labor. Mylar: Mylar is actually a trade name for BoPET. It is made up of the same thing as PET glitter, but the polyester sheets are stretched out into a thin film that you can buy as shards or in sheets. Cosmetic-grade: Although it may look the same as craft glitter, cosmetic-grade glitter is made to be used safely in beauty products. It has a smoother edge and is packed in a clean environment so there aren’t any contaminants. You may see other types of glitter on the market, but generally speaking, it’s inadvisable to use them on nails. Some examples are aluminum (mostly used in plastics), glass (extremely sparkly but sharp), and sugar (edible decorations).